So so pretty! I love the pink reminds me of strawberry ice cream! Very jealous you can do water marbling so well! Pink and brown go great together! 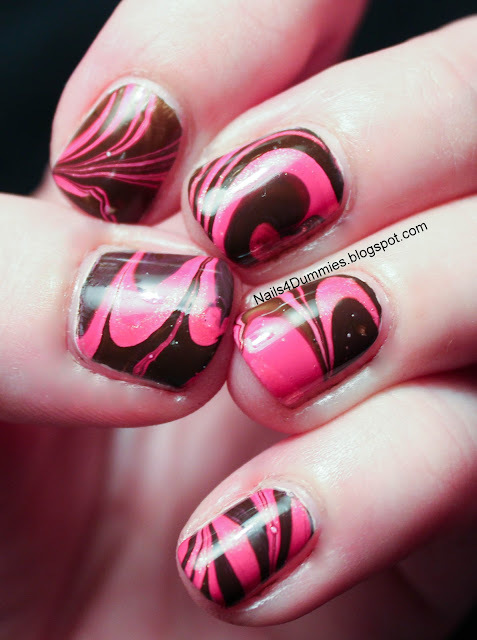 Love the watermarble as well. Love this color combo!! 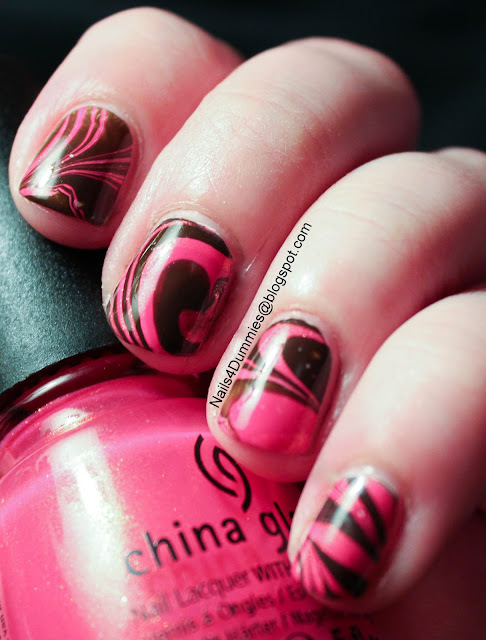 And your watermarble is AWESOME!!! I love how it's so neat! Mine always looks a hot mess!! Ok, a part the fact that you deliberately chose to do a water marble to present this mani, which is already WOW in my book, besides your marbling is perfect! I love what you achieved!